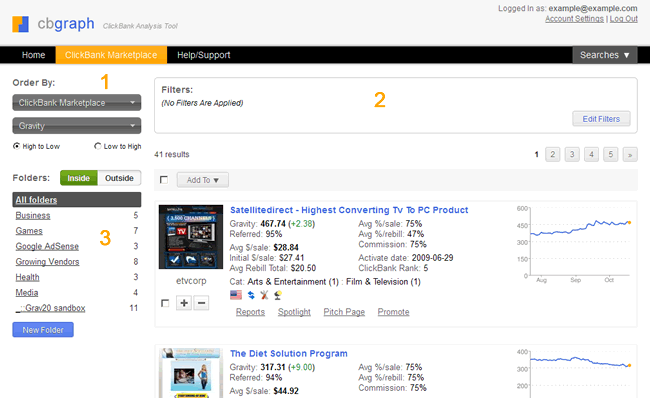 To open the ClickBank Marketplace click on the the 'ClickBank Marketplace' tab of the main navigation. Initially it shows all vendors ordered by their gravity. You can use the top and bottom pagers to go to the next pages. 'Order By' to change the order of the results, and also to display ClickBank movers and growing vendors. 'Filters' to narrow the search results by applying filters. 'Folders' to view vendors from your folders.